Don’t you sometimes wish you could be instantly transported to a foreign country without all the expense and hassle of flying there? I sure do; especially after drooling over my friend and fellow blogger Stephanie Stiavetti’s gorgeous photos of a market place in Barcelona, Spain. Suddenly, I remember that less than three miles from my house lies a 35,000-square-foot exotic locale — better known as 99 Ranch Market, in Richmond’s Pacific East Mall. A walk around this shopping emporium of Chinese, Taiwanese, Vietnamese, Korean, Filipino, Japanese and Indonesian foodstuffs is certain to take me away to distant lands, as I peruse products who have made their own journeys across the globe. 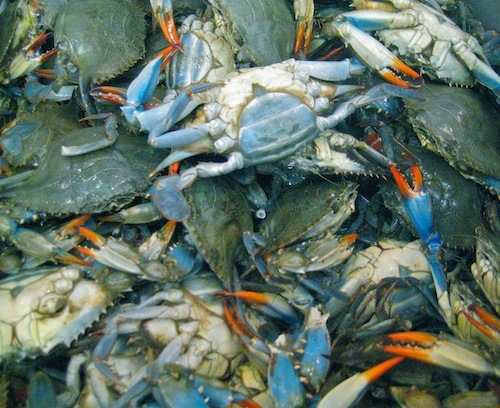 But first, I always visit the amazing seafood section: the entire back wall of 99 Ranch Market could stand-in for a seashore (sans sand) with tanks of swimming catfish, carp, tilapia, live crabs, lobsters, spiny pink sea urchins, and swirly shelled sea snails amid a briny, ocean scent. 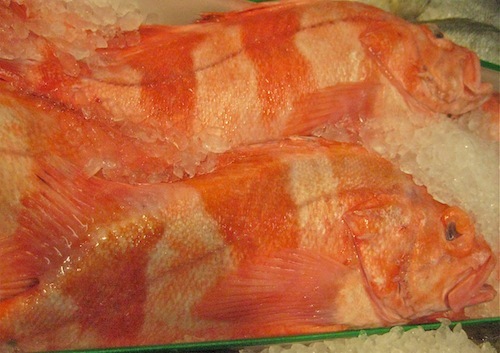 Laid out on ice are more than two-dozen kinds of whole fish, including pompano, perch and an unusual orange-striped bandit fish. 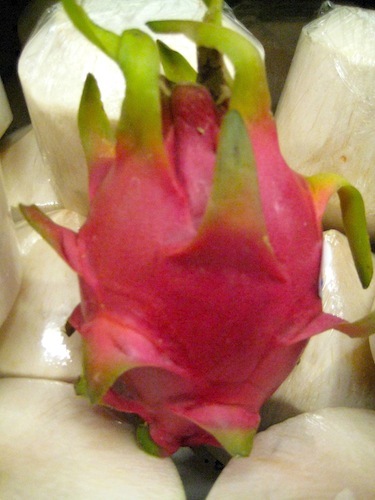 The produce department is as thrilling as a farmer’s market in a far-off realm, with fruit and vegetables I’ve never seen or even heard of: lime and magenta dragon fruit, the infamous (smelly) durian, enormous pink pomelos, plus a profusion of mushrooms and greens. Noodles, a staple in most Asian cuisines, are represented here in dizzying profusion: skinny skeins of Chinese noodles, bundles of translucent bean threads, snarls of yellow egg noodles, brown nests of seafood noodles, wide rice noodle ribbons, and long buckwheat soba match sticks. A wall of fish-balls, cans of quail eggs and sauces from around globe are endlessly intriguing. But my favorite aisles to wander are those filled with snacks, in varieties I’ve never dreamed of. The chip category alone contains flavors like shrimp, garlic, cassava, taro and lentil pea. 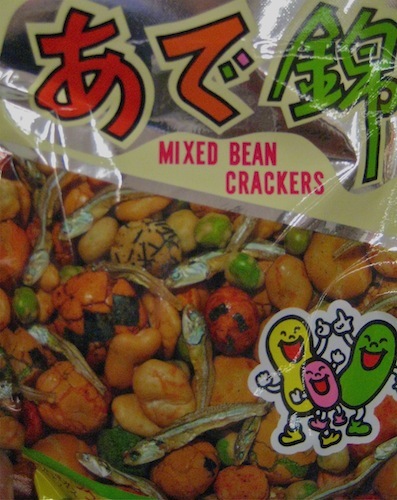 A bag of Japanese mixed bean crackers shows tiny dried anchovies swimming among the happy crackers. Taiwanese watermelon seeds are spiced with anise, clove and cinnamon. 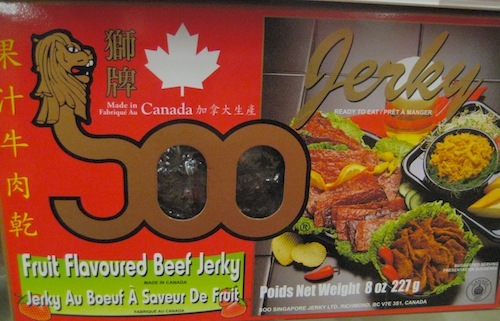 Fruit flavored beef jerky, hails from the far-away land of Canada (made by a Singaporean company there) and the fruit, if you’re wondering, is strawberry. After a satisfying global food tour, I travel upstairs to Golden Island Massage. The one-hour foot massage (which is really a full body, clothed, deep reflexology session) costs $20. Now I know I’m in another country! Where do you go to immerse yourself in another culture, while staying close to home? 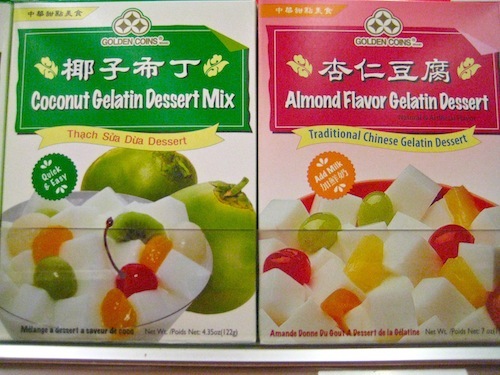 This entry was posted in Chinese food, Filipino food, Indonesian food, Japan, Korean food, Taiwanese food, Thai food, Vietnamese food and tagged 99 Ranch Market, Ranch 99 Market. Bookmark the permalink. I love 99 Ranch! I haven’t been there in ages. Thanks for the reminder! There are also a handful of Japanese grocery stores in Japantown in SF that I love. I might have to make a pilgrimage once I get back. Yes! Japantown in San Francisco is a great place to do a cultural immersion. A girlfriend and I made a weekend of it, staying at the cute anime Tomo Hotel across the street. We ate and shopped and ate and really felt far away from home.